The Purple Agency: D-DAY 2013! 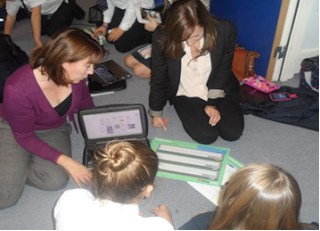 The Purple Agency and Perins School in Alresford worked in partnership today, 10 October 2013, to put 210 students through their digital paces. Digital-Day, organised by BIMA – the British Interactive Media Association – included over 100 schools and colleges all competing across several digital challenges. In fact, the day looks set to be one of the UK’s biggest digital events of 2013. Treina Smyth, Digital Strategist and Rhea Jeffrey, Senior Account Manager at Purple, went along to the school to add insight and experience to the day, talk to the students about the agency world and great digital opportunities on offer, as well as to discuss their group challenges and provide ideas and support. An e-learning school with a 1-1 notebook provision, Perins also made great use of their Moodle during the day by ensuring that all resources and challenges supplied by BIMA, along with lots of web2 tools which had been researched by staff, were added in readiness. This approach then enabled the students to email each other during the tasks to share information that they had found. Challenges consisted of digital design, creating a mobile app, coding and social media. Perins’ Mel Kirk and Gideon Williams led the experience. The work and effort they put in to make this a truly transformational e-learning project for the children was fantastic. Mel said to Purple ‘Thank you for your enthusiasm and for taking the time to speak with the students’. We at Purple thought that the standard, quality and motivation of the students were very impressive. Their creative ideas alone were outstanding! 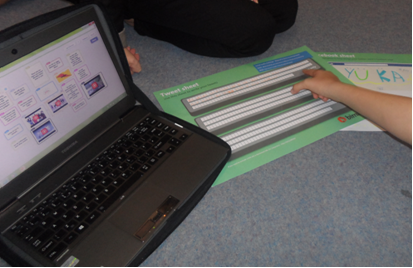 Some of the students created a hologram-based fashion app, whilst another group created an animal translation service – when you take your pet to the vets, make sure they can tell you what’s wrong using the device. Next steps involve teachers collating the entries and submitting them to BIMA where they will be judged. All high commended and winning entries will receive certificates and the winning agency and school will get a BIMA award. Definitely time well spent and we think that students at Perins will be giving us all a run for our money in the digital world. Our future is definitely in their very capable hands!